Likely long before you've had your first cup of coffee in the morning, we're here at Olive & Sinclair starting up the process of roasting cacao beans. Our chocolate is made by more than ingredients and old-fashioned processes. It's made by people. These people. 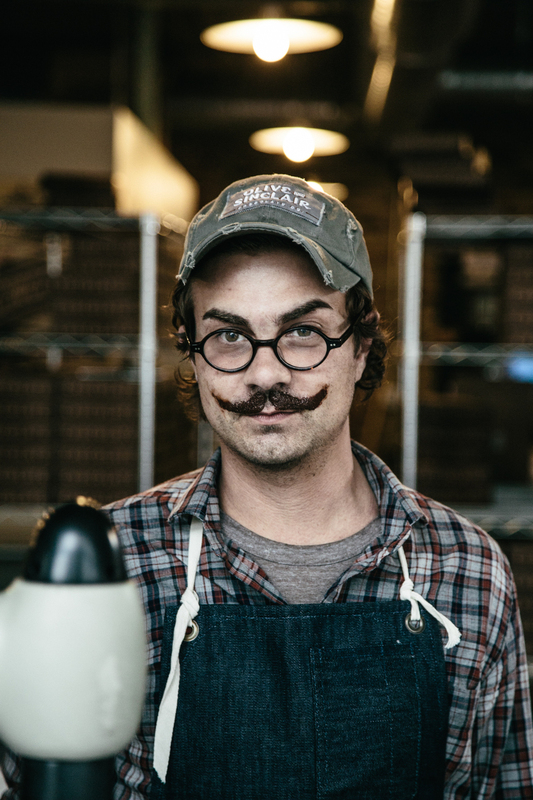 Working in restaurants and the food industry since the age of 14, Founder/Owner/Maker Scott Witherow has always been obsessed with food, food culture, and of course chocolate. After obtaining a Bachelors of Science from MTSU and a few years later, Le Grande diplome from Le Cordon Bleu London, Witherow knew he wanted to do something with chocolate. While trying to figure out what that “something” was, Witherow spent time in various restaurants in Nashville, around the United Stated, and even returned to England for a few positions. In late 2007, the seed was planted and the ideas started forming for Olive & Sinclair. Unaware of what he was getting himself into, Witherow purchased small table top machines and started making 3-5 pounds at a time. Oven roasting and hand cracking the beans, with something resembling your grandmothers old sausage grinder that clamps to the side of the kitchen counter, Witherow would separate the nibs from the shell using a hair dryer and an old french “chinois” he had brought home from Culinary School. Two years later while continuing to in the food industry, Witherow created Southern Artisan Chocolate™. He continued experimenting -- making & testing small batches on family and friends, designing packaging, perfecting his bean-to-bar process... and finally, building a factory. Jason and Scott are long time friends and can tell some pretty funny stories about the early days. In fact Jason actually tried pretty darn hard to convince Scott not to hire him. These days Jason leads the O&S ship beginning before the sun comes up on most days, making sure everything is running smoothly and efficiently, and quite honestly can be seen wearing just about any hat at the O&S factory... even if the sun ain't up yet.